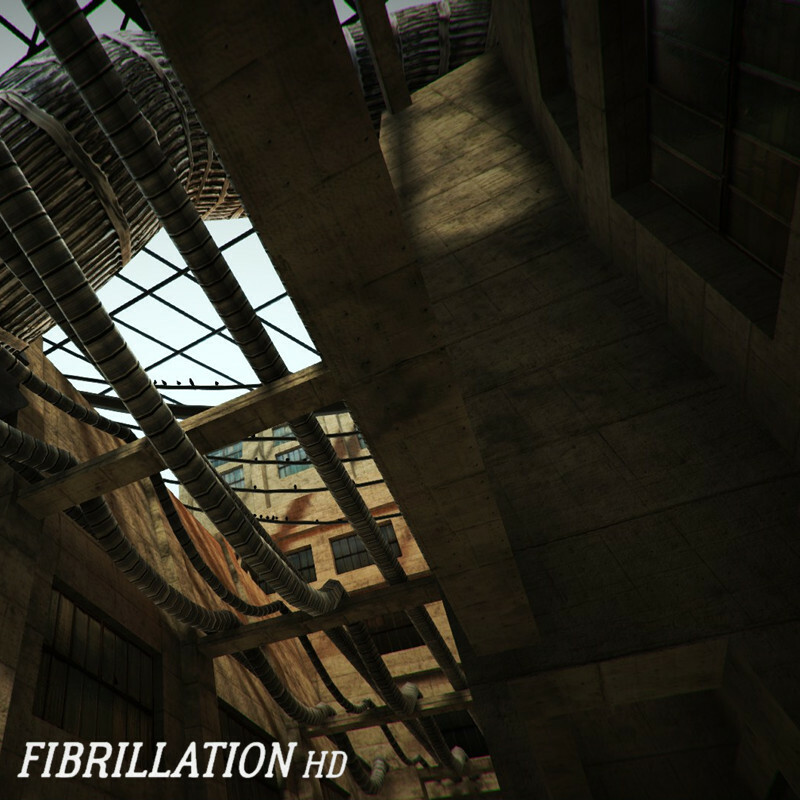 Fibrillation HD by Egor Rezenov, a game in a similar style as that in NaissanceE or Kairo. Fibrillation shows the organic, human side of brutalism, while for example NaissanceE focuses more on the brutal, more depressing side of it. You don’t get the enormous scale of NaissanceE, but you do get more life-like textures. It’s different sides of the same coin. NaissanceE did get a little numbing after a while, because of the monotone grayness of it all. The textured surfaces and the added contrasts in Fibrillation compensates a lot for the smaller scale, and avoids the pitfalls of desensitization. Other than brutalism, the art style is also inspired by the lost civilizations of South America, which makes for a nice contrast as well as companion to the brutal looking structures you get to explore, and the enemies you encounter are in either style, but also sometimes a peculiar, but effective mix of both. You have no way to fight back, so sneaking or hiding out of reach is the only option. Make sure you get the “HD” version, or else you’ll miss all the updates. As always, don’t rush through it, or else you might miss many of the best parts (there are a couple of objects and secret areas you will want to find, because they unlock extra levels later in the game). The gameplay is about avoiding enemies and exploring. There are few puzzles to speak of other than finding the right way plus some light platforming if you want all the secrets. The story was pretty interesting and reminds me of an article I read once about someone who had a near-death experience, after which he was plagued with horrible nightmares about a presumed after-life. My first playthrough took around 2 hours, so it’s pretty short, but worth every penny. I also replayed it to find more secrets. The developer states a playtime of 40 minutes, but I like to take my time and explore as much as I can. The story is mostly told via the environments you explore, so keep your eyes peeled (there are details to consider early on, of which one I discovered the full extent of only today while replaying). Posted in Indie, Review.Tagged 3D, brutalism, darkness, exploration, First Person Exploration, FPEG, horror, indie.